After making history over the weekend by advancing to its first regional final in program history and ending its 31-game drought against the Florida Gators, Bethune-Cookman’s ride through the 2017 NCAA Gainesville Regional finally came to the end of the road Monday with a 6-1 loss to the Gators. The Wildcats set up the Monday night affair by beating South Florida 6-4 to make history, and doubled down on that success by shocking Florida, the third-ranked team in the nation, 6-2 on its home field. 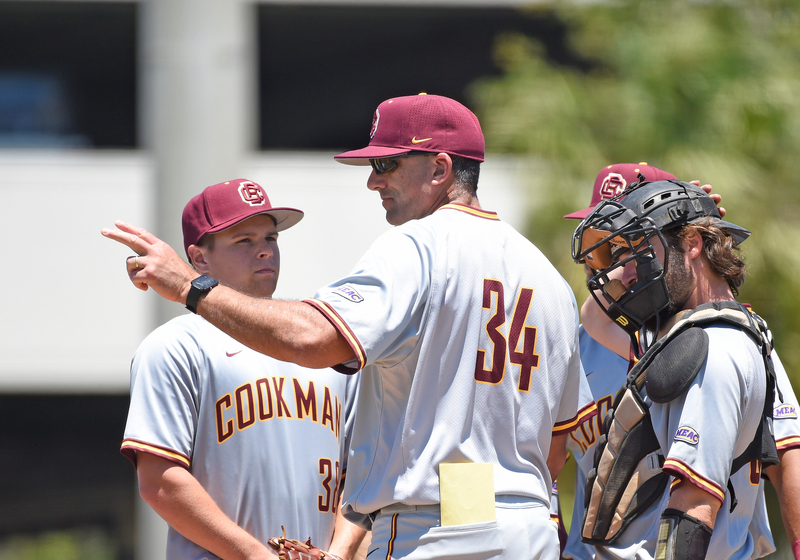 Bethune-Cookman won more regional games (three) in a day and a half than it had in the previous 36 years (two) and defeated two nationally ranked teams to pull it off. The team ended the year under head coach Jason Beverlin with 36-25 record, good enough for third-most victories in program history and its 19th Mid-Eastern Athletic Conference (MEAC) championship. Bethune left handed pitcher Donte Lindsay (11) pitches during a college baseball game between the Bethune-Cookman University Wildcats and the University of Miami Hurricanes on May 7, 2017 at Alex Rodriguez Park at Mark Light Field, Coral Gables, Florida. Miami defeated Bethune-Cookman 7-1. Playing in front of 2,166 fans at the Gators’ Alfred A. McKethan Stadium, the teams continued their drama Monday afternoon as Bethune-Cookman went toe-to-toe with Florida for five innings, before the Gators’ bats came alive in the top of the sixth inning. Pitcher Austin Langworthy sent a three-run homer into right field to give the host team a 3-0 inning and scored one run in each of the next three innings. Florida now moves on to this weekend’s super regionals, where they will host Wake Forest starting Friday. 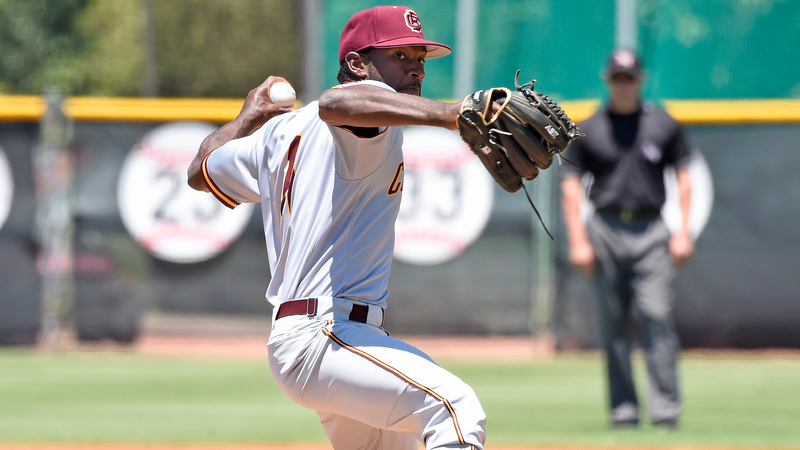 Bethune-Cookman responded in the bottom of the seventh with a run of its own, when Josten Heron beat out a two-out infield single, allowing Kyle Corbin to score from second base. That 4-1 deficit was the closest the Wildcats would get to the Gators. To the underdogs’ credit, Bethune-Cookman forced Florida to leave eight runners in scoring position before the sixth. The defensive chess match went both ways, as the Gators gave up only three hits in that same stretch and seven in total. Bethune Head Coach Jason Beverlin calls for a new pitcher during a college baseball game between the Bethune-Cookman University Wildcats and the University of Miami Hurricanes on May 7, 2017 at Alex Rodriguez Park at Mark Light Field, Coral Gables, Florida. Miami defeated Bethune-Cookman 7-1. The tournament did not start off well for the MEAC champion, as it was blown out 9-1 in the opening game against South Florida. The third-seeded Bethune-Cookman then bounced back with a 4-2 win over Marist before going on to stun South Florida and Florida on Sunday. The Wildcats even made SportsCenter with their makeshift radar gun. Texas Southern fought valiantly in its Baton Rouge Regional but ultimately gave up a two-run lead over top-seeded LSU in a 15-7 opening-round loss and fell to Rice, 13-6, in the elimination bracket. The Tigers pulled ahead of LSU 7-5 in the top of the fifth inning thanks to four runs in the frame. But LSU clawed back, as the team scored four runs in the bottom of that inning and 10 straight to end the scare. Against Rice, Texas Southern again jumped ahead of the higher-ranked seed — this time, a 3-0 lead — before eventually giving up a lead that swelled in only two innings of work. But Rice clawed back and tied the game. In the fifth, an RBI single gave the Tigers a 6-5 advantage. But anything the Tigers could do the Owls matched, as they scored a run in the bottom of the inning, making it 6-6. The dam broke two innings later, as Rice scored six runs in the bottom of the seventh to put the game out of reach.